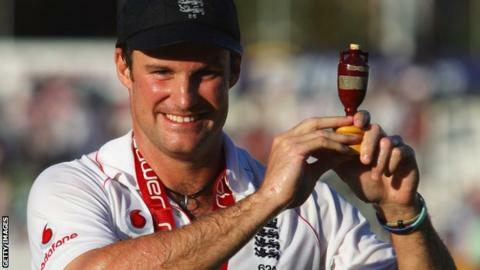 Former England captain Andrew Strauss has been appointed to the International Cricket Council's cricket committee. Strauss, who retired in August, replaces West Indian Ian Bishop, who opted not to continue in the role. The 16-member cricket committee meets twice a year to consult on playing matters and offer recommendations to the ICC on technical issues and rules. Former India spinner Anil Kumble has replaced West Indian Clive Lloyd as chairman of the committee. Both Strauss and Kumble were unanimously voted in by the ICC Board, which consists of ICC president Alan Isaac, chief executive David Richardson, representatives from the 10 Test playing nations plus three associate member representatives. "I would like to thank Clive Lloyd for his chairmanship of the ICC Cricket Committee and for his tireless contribution to the game," said Isaac, who became the president of cricket's governing body in June. "In Anil Kumble, we have a new chairman who has unquestioned experience not only as a player with India but also as an administrator with Karnataka State Cricket Association as well. "I am sure he will carry on Clive's good work and bring, like Andrew Strauss, contemporary thinking to the committee. Both [Kumble and Strauss] understand clearly the issues facing the modern game."